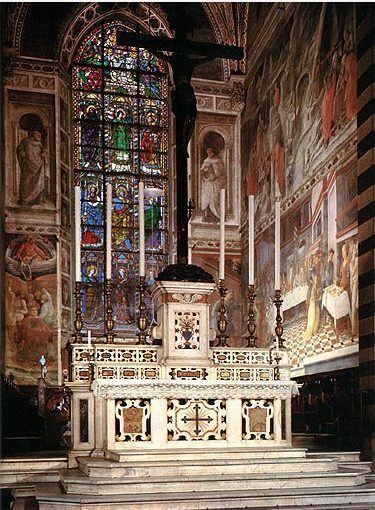 The treatment of the wall paintings in the Apse of Prato Cathedral began in July 2001 and finished in March 2007. The work was carried out by a group of six conservators on average, coordinated by Mark Gittins. The vault is decorated with over-life-size figures of the four Evangelists, while the walls carry the stories of the lives of St Stephen and St John the Baptist. 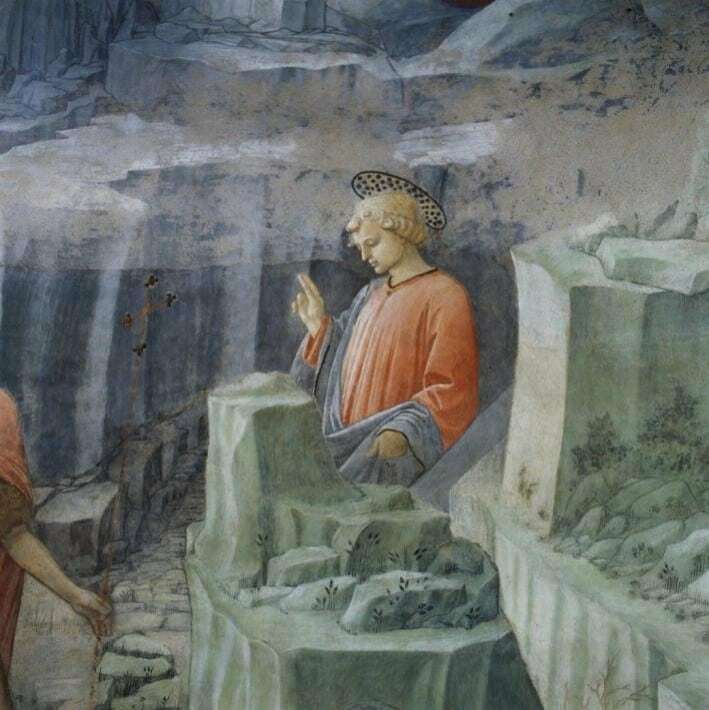 One of the more interesting aspects of this cycle is the artistic techniques employed: Lippi’s technical interests, together with his personal biography – he eloped with a young nun who bore his son, the future artist Filippino Lippi – led to the work extending over many years, and perhaps to the artist’s extensive use of the secco technique, used more widely here than in any other of his works. 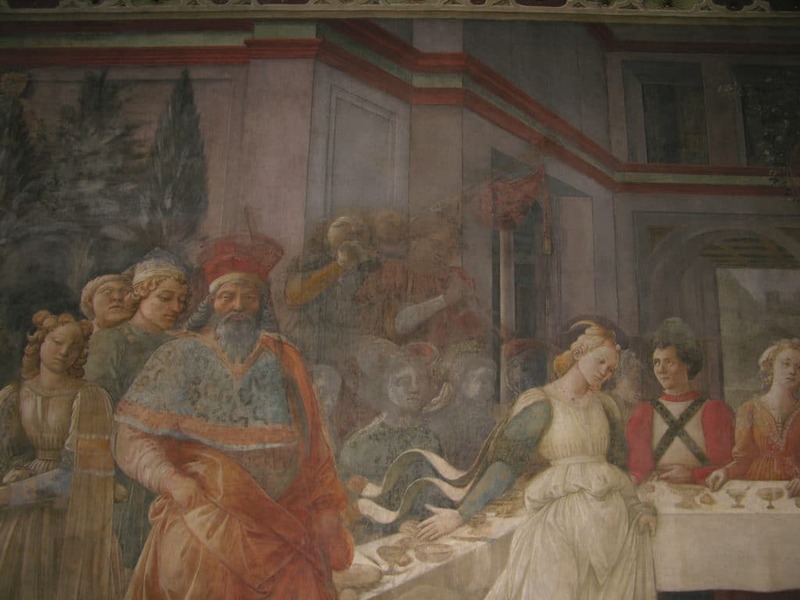 Difficulties in understanding the extent of this secco finishing work led to some heavy-handed and damaging restorations which sought to uncover the parts of the painting clearly painted in fresco. A large part of our study of the paintings was aimed at the detection of the traces left of this original work from underneath later repaintings and subtly bringing them out during the process of cleaning and final retouching. reconstructive retouching welcomed as a way of bringing out the elegance of the damaged original paintings. 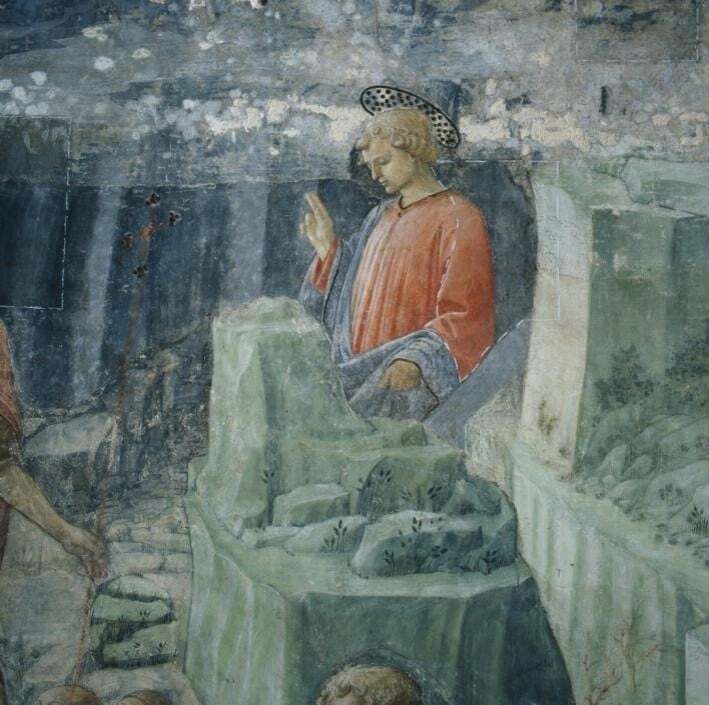 Cleaning in general, and the reduction of the synthetic resins applied by Leonetto Tintori in the 1970s to the vaults – applied to consolidate the salt damaged paint and optically bring out the figures of the Evangelists – was particularly difficult and saw a collaboration with Luigi Dei of Florence university and his colleagues on the early use of solvents in microemulsions and dispersions of micro lime particles in alcohol. Isabella Lapi Ballerini (2000-2007) and Cristina Gnoni Mavarelli (2003-2007) of the Soprintendenza per i Beni Architettonici Paesaggistici, Storici, Artistici ed Etnoantropologici per le Provincie di Firenze, Pistoia e Prato. Technical direction of the worksite was provided by Franco Vestri of the Soprintendenza, and technical consultancy for the treatment of the vault was provide by our colleague Sabino Giovannoni of the OPD. The scaffolding was planned by Franco Vestri and constructed by Impresa Leonardo Paolini: this scaffolding was perhaps the best and most comfortable we have seen in all our years of experience of worksites. 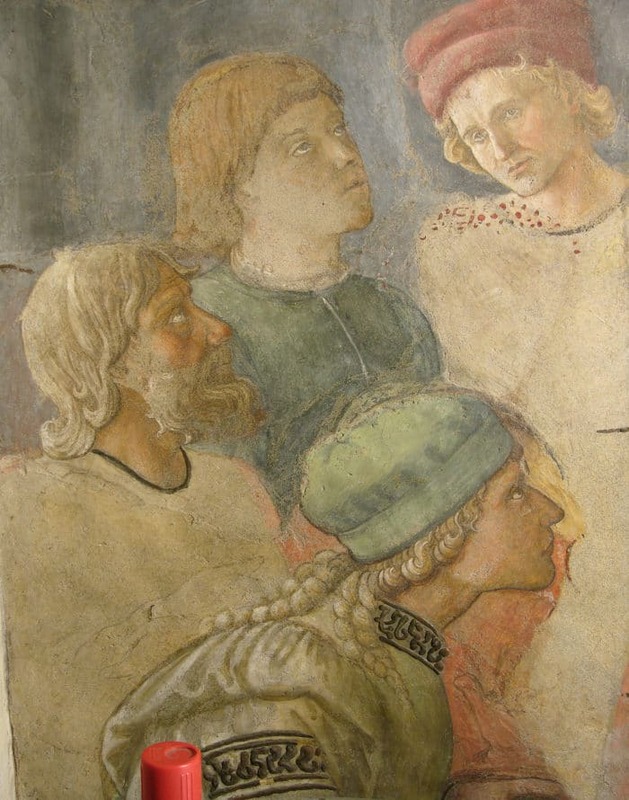 Opificio delle Pietre Dure, Florence (Mauro Matteini, Giancarlo Lanterna, Alfredo Aldrovandi, Carlo Lalli, Maria Rizzi); Consorzio CSGI, Università di Firenze (Luigi Dei, Paolo Baglione); CNR Istituto per la Conservazione e Valorizzazione dei Beni Culturali – Sezione “Gino Bozza” (Lucia Toniolo); Politecnico di Milano, Dipartimento di Fisica (Rinaldo Cubeddu, Giancarlo Valentini, Daniela Comelli); Università di Perugia Centro di Eccellenza SMAArt (Costanza Miliani); Getty Conservation Institute (Giacomo Chiari, Francesca Piqué). Base maps and mapping: C.B.C. Conservazione Beni Culturali, Roma. Software development: ReGIS Mega Review, Florence. Data entry: Anna Adamovich, Florence.